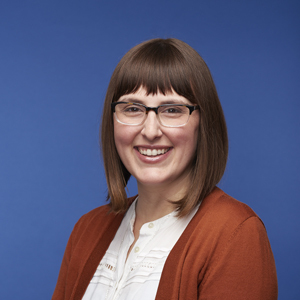 CAITLIN MARTIN is the Media & Communications Manager of the Association for Public Art (aPA, formerly the Fairmount Park Art Association). She tweets, posts, and Instagrams about Philadelphia’s preeminent collection of outdoor sculpture, and oversees marketing, communications, and audience outreach. Martin manages aPA’s online presence and digital media initiatives, finding new and unique ways to engage audiences with Philadelphia’s public art through technology. She has presented about this work at numerous regional, national, and international conferences, including for Americans for the Arts, Public Art Network, Museums and the Web, and guest Instagramming for Art21. Martin is also the Project Manager of aPA’s Museum Without Walls™: AUDIO, an award-winning, multi-platform, interpretive audio program for Philadelphia’s public artworks. Additionally, she is aPA’s staff photographer, documenting the city’s vast collection of outdoor sculpture. A Louisiana native, Martin graduated with Honors with a Bachelor of Architecture from Louisiana State University (LSU) and completed a year at the Danish Institute for Study Abroad in Copenhagen, Denmark. She was awarded the LSU College of Art and Design Dean’s Medal of Excellence in Architecture and received the Honors College Outstanding Thesis Award.